Phytochemical And Proximate Compositions of Tetracarpidium Conophorum [African Walnut] Seeds. A sample of boiled Tetracarpidiumconophorum (African walnut) seeds was analyzed for the phytochemical and proximate compositions. The result of the phytochemical [qualitative] screeningrevealed the presence of high concentrations of Alkaloids and Steroids, and moderate concentration of Tannins. There were no traces of Saponins, Phlobotannins, Flavonoids, Phenols and Glycosides. The proximate analysis showed that the boiled seeds contained 5.5% moisture, 19.3% carbohydrate, 17.9% protein, 53.4% crude fat, 1.24% crude fiberand 2.67% ash. Data from thisstudy showedthat theboiled Tetracarpidiumconophorum seeds contain some bioactive compounds and have good nutritional composition. They could be useful in pharmaceutical formulations and as food. Ajaiyeoba E.O and Fadare .D.A. Antimicrobial potential of extracts and fractions of the African walnut - Tetracarpidium conophorum. Afric. Journal of Biotechnology 5:2322 - 5. Akpuaka M.U and Nwankwor E.  Extraction, analysis and utilization of a drying-oil from Tetracarpidium conophorum. Bioresource Technology, 73: 195 – 196. Amaeze O. U, Ayoola G.A, Sofidiya M.O, Adepoju-Bello A. A, Adegoke A.O , and Coker H. A. B . Evaluation of antioxidant activity of Tetracarpidium conophorum (Mull. Arg) Hutch & Dalziel. Oxidative Medicine and Cellular Longevity. 976701. Doi: 10.1155/2011/976701. Anderson K. J, Teuber S. S, Gobeille A, Cremin P, Waterhouse A. L, Steinberg F. M  .Walnut polyphenolics inhibit in vitro human plasma LDL oxidation. Journal of Nutrition, 131: 2837-84. AOAC  Standard Official Methods of Analysis of the Association of Analytical Chemists.16th Ed. Arlington VA, USA. Asquith, T.N and Butler L.G. Interaction of condensed Tannins with selected proteins. Phytochem., 25: 1591 – 1593. Ayodele O.B  Nutrition in Ibadan Nigeria. Catoon Publishers , USA. Ayoola P.B., Onawumi O.O and O.O.P. Faboya  Chemical evaluation and nutritive values of Tetracarpidium conophorum [Nigerian walnut] seeds. Journal of Pharmaceutical and Biomedical Sciences. 11: 1 – 5. Babalola, F.D  Cultivation of African walnut Tetracarpidium conophorum Mull. [Arg] on agricultural plantation: An approach to Conservation Agriculture in Nigeria. Presentation made at World Conference on Conservation Agriculture and 3rd Farming System Design Conference [WCCA/FSD], Brisbane, Australia from 26 – 29 September, 2011. Pp 180 – 181. Available online at http://aciar.gov.au/files/node/13992/cultivationofafricanwalnuttetracarpidiumconop86676.pdf Accessed 26th July, 2016. Bello O. S., Olaifa F.E ., Emikpe B.O., and Ogunbanwo S.T., . Potentials of walnut [Tetracarpidum conophorum Mull. Arg] leaf and onion [Allium cepa Linn] bulb extracts as antimicrobial agents for fish. African Journal of Microbiology Research. Vol 7 (19): 2027 – 2033. Brinkman K .A.. Juglans L. Walnut. In: Schopmeyer CS [tech coord] Seeds of woody plants in the United States, USDA For Serv Agric Handb 450, Washington, pp. 454 – 459. Cogliastro, A,. Gaganon, D. and Bouchard A.,  Experimental determination of soil characteristics optimal for the growth of ten hardwoods planted on abandoned farmland. For Ecol Manage (1- 2): pp.49 – 63. Goodell, E.  Walnuts for the northeast. Arnoldia , 44 (1): pp. 3 – 19. Claude B. and Paule S. .The Manual of Natural Living. 1 st ed. Biddles Limited. Guildford, Surrey. Pp 98 – 99, 101. D’Amelio F.S. Botanical: A Phytocosmetic Desk References. Boca Raton, FL, CRC Press. Pp 209. Dahl L. K.  Salt and Hypertension. Am, Clin. Nutr. 25: 231 – 38. Dalziel J.M. The useful plants of West Tropical Africa. Whitefriars Press, London. Pp 164. Dharmananda .S. Gallnuts and the uses of Tannins in Chinese Medicine. In: Proceedings of Institute for Traditional Medicine, Portland, Oregon. Dreosti I. E  Recommended dietary intake for phytochemicals: Feasible or Fanciful? Asian Pacific Journal of Clinical Nutrition 9: 119 – 122. Edem, Christopher. A. Dosunmi, Miranda I, and Bassey Francesca, I. . Determination of ProximateComposition, Ascorbic acid and Heavy Metal content of African Walnut [Tetracarpidium conophorum]. Pak .J. Nutrition. 8. 225 – 226. Ekhuosuehi, .A. . Properties of Walnut plant in culture. The Nigerian Observer Online edition www.nigerianobservernews.com/19072010/..../features3.html. 12/10/2012. 2.20pm. Accessed 10th June, 2016. Elizabeth .K. .Textbook on Immense help from Natures workshop. 1st ed. Elikaf Health Services Ltd. Pp 207. GRIN, . Plukenetia conophora Müll. Arg. Germplasm Resources Information Network (GRIN) Taxonomy for Plants. United States Department of Agriculture (USDA) and Agricultural Research Services (ARS), Beltsville area. http://www.ars-grin.gov/cgi-bin/npgs/html/taxon.pl?400342. Accessed 18/08/16. Hunt S. ,Gaff. J. L., and Holbrook .J. . Nutrition principles and chemical practices. John Wiley andSons. New York. Pp 49 – 52. Igboko D.O. .Phytochemical studies on Garcinia kola Heckel. M.Sc. Thesis. University of Nigeria Nsukka. Pp 202. James .N.R. . Volatile components of Green Walnut Husks. J. Agric. Food Chem. 48: 2858 – 61. Maduiyi .I. .Biochemical and Pharmacological studies of active principles of the seeds of Garcinia Kola Heckel M.Sc. Thesis. University of Nigeria Nsukka. Pp 108. Nabori, T., Miurak, K., Wu, D.J., Takabayashik .L.A and Carson D.A, . Deletion of cyclin-dependent kinase – 4 inhibitor gene in multiple human cancers. Nature, 46: 753 – 756. Nwaoguikpe R.N., Ujowundu, C.O., and Wesley, B.  Phytochemical and Biochemical compositions of African Walnut [Tetracarpidium conophorum]. Journal of Pharmaceutical and Biomedical Sciences. Vol. 20 . Nwokolo E.A. . Composition and Availability of Nutrients in some Tropical Legumes. Phacco Publishers, Ibadan. Obianime A.W and Uche , F.I. . The effects of aqueous extracts of Tetracarpidum conophorum seeds on the hormonal parameters of male guinea pigs. Asian Pacific Journal of Tropical Medicine . 21 – 24. Ogukwe C.E., Oguzie, E.E., C. Unaegbu and Okolue B.N, .Phytochemical screening on the leave of Sanservieria fasciata . J. of Chem. Soc. Nigeria, 29 : 8 – 9. Ogunsma A.O and Ddeboma .M.R. . Chemical Composition of Tetracarpidium conophorum [Conophurint]. Food Chem., 10: 173 – 177. Ojobor C.C ., Anosike, C.A., and Ani, C.C  Studies on Phytochemical and nutritional properties of Tetracarpidium conophorum [Black walnut] seeds. 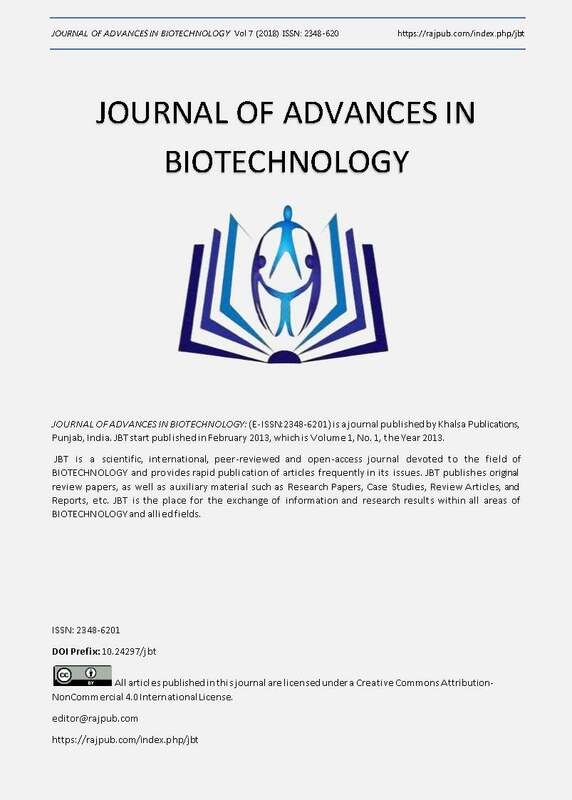 Journal of Global Biosciences., Vol 4 : 1366 -1372. Oke, O.L . Leaf Protein Research in Nigeria. Ibadan. University of Ibadan Press. Ibadan. Oke, O.L and Fafunsho .M.A. . Lesser known oilseeds: The nutritive value of conophor seeds invitro. Nutrition Report International. 12: 41 – 49. Okpero, O.  Nutritive value of Conophor seed. University of Ibadan Press. Ibadan. Okwu, D.E. . Evaluation of Chemical Composition of Indigenous Species and Flavouring Agents. Global J. Pure Appl. Sci. : 458 – 459. Okwu, D.E. and Okwu .M.E . Chemical Composition of Spondiamombin plants. J. Sustain Agric. Environment. 6: 140 – 147. Okwu, D.E. and Okeke .O. . Phytochemical Screening and Mineral Composition of Chewing sticks in South- Eastern Nigeria. Global J. Pure Appl. Science. 9: 235 – 238. Onyenuga V.A. . Nigeria Food and Feeding Stuffs, Ibadan University Press. Pp 1-25. Oselebe H.O., Nnamani, C.V and Ndie E.C . Some Physiochemical characteristics of defatted flours derived from African walnut Tetracarpidium conoforum: An underutilized legume. Pakistan Journal of Nutrition 9: 909 – 911. Osogie, A.U., Okoye W.L ., Oluwagose B.O. and Dowodu O.A. . Chemical quality parameters and fatty and composition of oils of some underexploited tropical seeds. Nig. J. Applied Sci, 4: 151 – 162. Parekh .J. and Chanda.S. . Antibacterial and Phytochemical studies on twelve species of Indian Medicinal Plants. Africa .J. Biomed. Res. 10: 175 – 181. Raquel F.E. . Bacterial lipid composition and antimicrobial efficacy of cationic Steroid compounds. Biochemica et Biophysica Acta. 2500 – 2509. Tchiegang .C. Chemical Composition of oil from Tetracarpidium conophorum [M.L. ARG] Hutch and Dalziel] nuts. J. Food Lipids. 8: 95 – 102. Trease, G.E and Evans W.C.  Pharmacognosy 11th ed. Bailliere Tindall, London. Pp 45 – 50. US NAs  Dietary Allowance: US National Academy of Science, Washington DC. Wikipedia . African Walnut from Free Encyclopedia. Wikipedia Plukenetia conophora. "http://en.wikipedia.org/w/index.php?title=Plukenetia conophora&oldid-73160465’’. Accessed 20th July, 2016. William, R. D., . Juglans nigra L., Black walnut. In: Burns RN, Honkala BH [tech coords] Silvics of North America, Vol 2. Hardwoods. USDA For Serv Agric Handb 654, Washington, pp 386 – 390. Wisegeek  What are plant steroids.www.wisegeek.com/what-are-plant-steriods.htm. Accessed 29th October, 2013. Yadav, R.N.S and Agarwala .M. Phytochemical analysis of some medicinal plants. Journal of Phytology 3 : 10 – 1.